Creating an account is free. Uploading a resume is free. Searching for jobs is free. Welcome to Montessori Jobs! For over eight years, Montessori Jobs has been the #1 source for Montessori Schools to connect with potential employees. On MontessoriJobs.com, you’ll find great Montessori careers for Montessori Teachers, Montessori Administrators, Montessori Support Staff, and more! Montessori Jobs has served over 150,000 users in over 180 countries throughout the world*. Over 100,000 of our users are in the US and over 12,000 users are located in Canada. Created to serve all Montessori schools regardless of affiliation or accreditation, MontessoriJobs.com is designed to improve the recruitment process of qualified Montessori teachers, assistants and administrators who are looking for the perfect career opportunity! 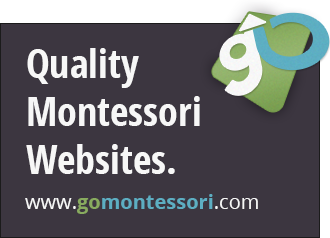 Creating an account is free, browsing Montessori Jobs is free, and we offer a simple and affordable pricing structure. If we can help you through the process, or answer any questions, please let us know!